For use with Build it with Bob real brick construction sets. Contains 700g of extra cement. Buy with any of the Build it sets or Scoop's Extra Brick set for more building possibilities. 101 piece wooden railway set. Size 1020mm x 760mm. Zip Shots 2 Player Target Shooting Game Includes 2 disc shooters & 24 foam disc. Also includes 16 alien targets and a game board. 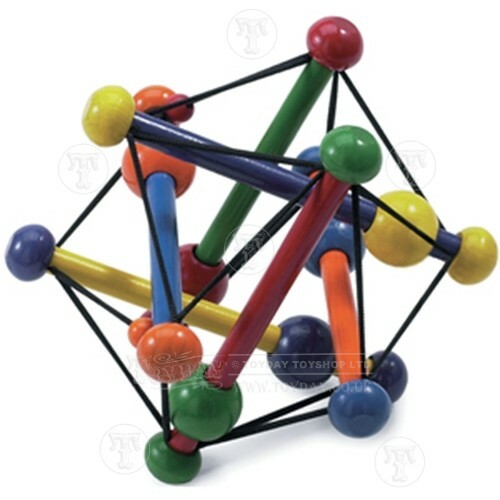 Skwish is a large colourful ball of beads poles and strings made by Manhattan Toys. 14 cm. This baby toy is CE marked and suitable for babies from birth.